This entry was posted in Academic achievements, Students and tagged fellow on May 29, 2013 by Wire Eagle. 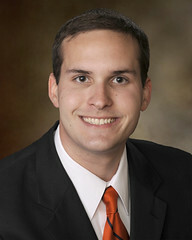 AUBURN UNIVERSITY – Paul Bergen, a 2012 graduate of Auburn University, has been selected as a Marcus L. Urann Fellow, an award presented by The Honor Society of Phi Kappa Phi to select members entering the first year of graduate or professional school. As a part of the fellowship, Bergen will receive a $15,000 stipend. Bergen is one of six recipients nationally and one of 190 students to receive an institutional nomination for the fellowship. Only one student per university may be nominated. “Paul is a joy to be around,” said Paul Harris, associate director for national prestigious scholarships at Auburn. “He is just the type of young scholar, globally engaged citizen and all-around person that the Auburn chapter seeks to nominate for Phi Kappa Phi’s most prestigious award,” said Harris. As a recent winner of the Gates Cambridge Scholarship, Bergen will pursue a Ph.D. in pathology at the University of Cambridge with a focus on how salmonella infects the host intestinal cell and overcomes the host immune response to cause disease. Bergen was one of 40 students nationally to receive the scholarship. Bergen graduated from Auburn with a 3.97 GPA and earned degrees in both microbiology and German. He is currently a Fulbright Scholar at the Technical University in Munich, Germany, where he is continuing research that he began in Auburn’s Department of Biological Sciences. The Marcus L. Urann Fellowships were created by Phi Kappa Phi in 2009 and are the top fellowships given. A grant from the Alice and Russell True Foundation has provided the funds needed to endow the fellowship.